Come along with us as we explore the landscapes of Myvatn. As we continued on our journey traveling around the Ring Road of Iceland, we spent day six and seven in the Myvatn region in North Iceland. 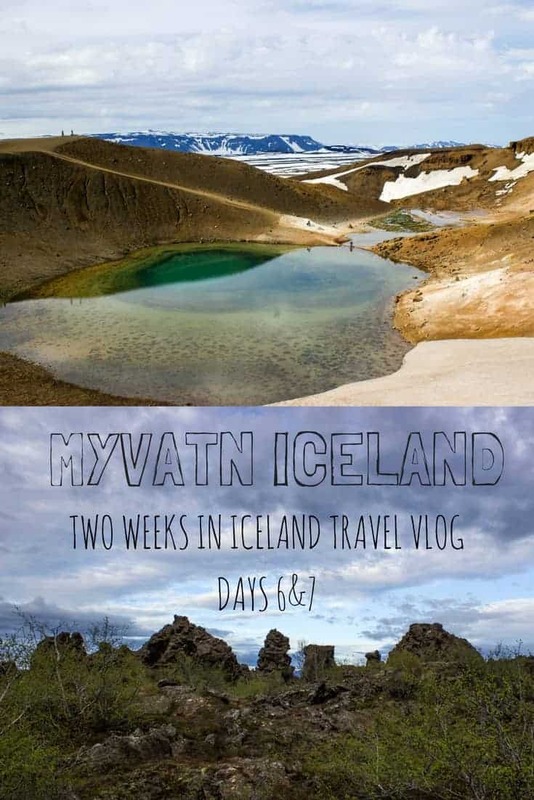 In our Myvatn Iceland video, let us show you around some of the best natural attractions in the region: Namafjall Hverir Geothermal Region, Dimmuborgir lava field, Grjotagja cave, Dettifoss, and Krafla (Viti Crater). 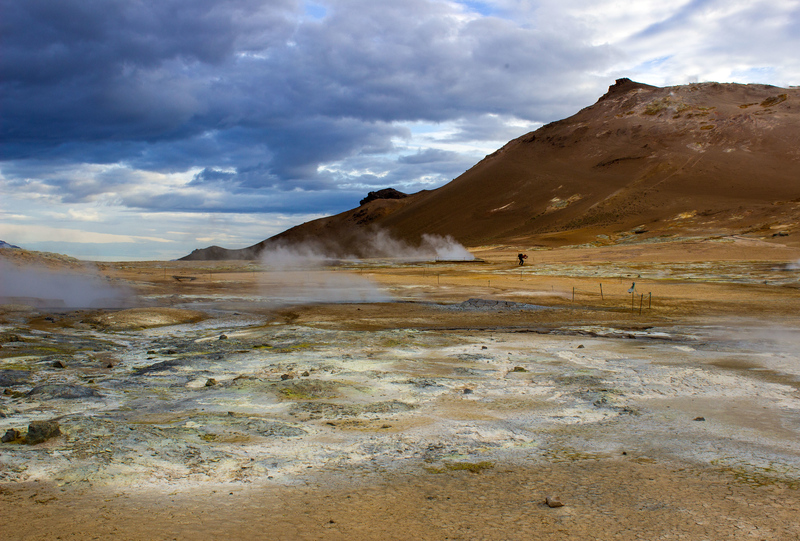 Just down the road from our guesthouse, we visited Namafjall Hverir geothermal area. The landscape looked more like Mars than Earth. With its bubbling pots and steaming vents, it’s not to be missed. You might notice a lot of midge flies everywhere in front of the camera lens. These little bugs are everywhere. After all, Lake Myvatn is named for these midge flies. There’s nothing you can do but bring a scarf for your face and try not to eat too many of them. 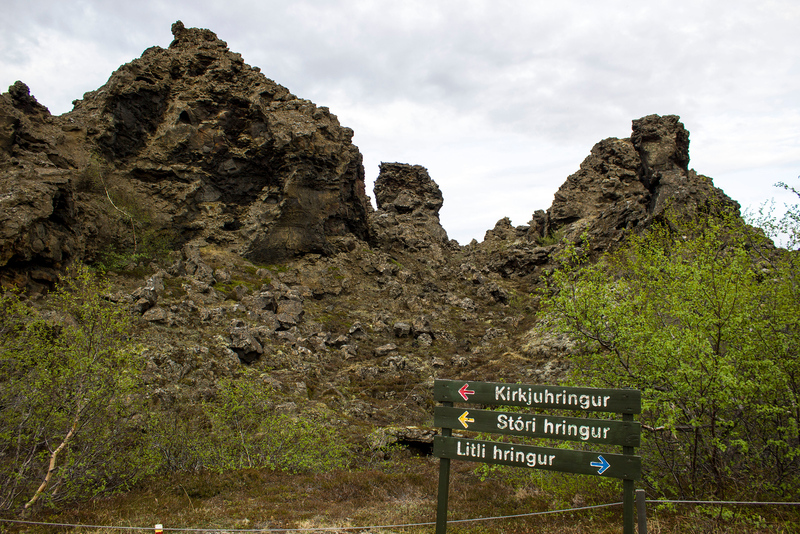 The Dimmuborgir lava field was even closer to our guesthouse. These massive rock formations are quite intriguing. There are several hiking trails around the lava rocks. Definitely check this place out – it’s the only spot in the world quite like it. Grjótagjá is a small cave that used to be a popular bathing place. 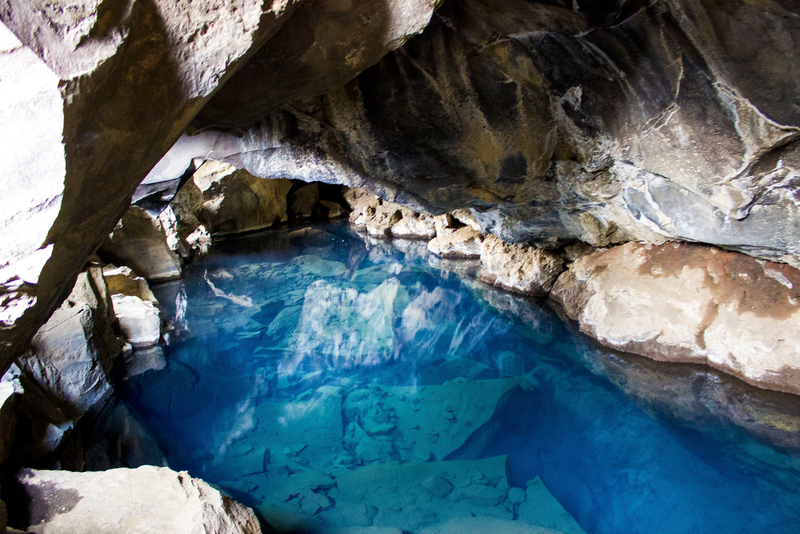 The water inside the cave is a vibrant shade of blue. Scenes from Game of Thrones were filmed here, and guests are welcome to climb down into the cave to check it out (though bathing here is now discouraged). Dettifoss is the most powerful waterfall in Europe. We weren’t able to get too much video of it as we left our GoPro back at our cottage, and it was incredibly misty. Hike up to the observation deck for the best view, but don’t forget to bring a rain jacket! 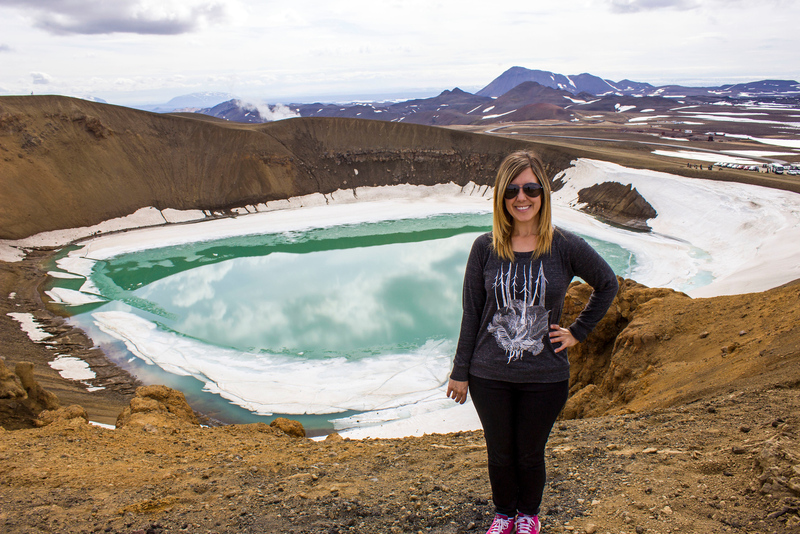 At Krafla, there’s a huge blue-green crater lake that you can hike around. It’s a very surreal and colorful landscape that you’ve got to see with your own eyes. We’ve also captured some exciting aerial footage with our drone for you to enjoy from home. To learn more about these stunning Myvatn landscapes in more detail, please visit the article: Top 6 Things to Do in Myvatn Iceland. In this Myvatn Iceland video, you’ll see all of these spectacular scenes as we embarked on adventure after adventure. You can check out more of our Iceland videos on the Justin Plus Lauren Youtube channel. 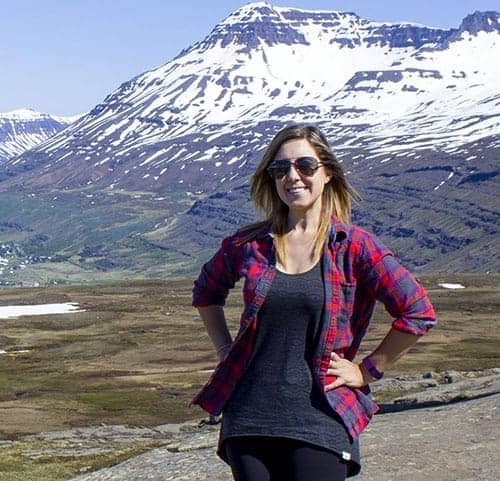 We’re bringing you videos from our entire trip, from Reykjavik to the Westfjords. For more travel photos like these, visit our entire Myvatn Iceland travel photo album. Iceland is an outdoor lover’s paradise. Mountains, volcanoes, hot springs-just perfect! I love your photos. Iceland is an awesome place for me.. I think that everyone must go there once in a lifetime!! Beautiful video :-) <3 You make me travel there ! Amazing photos and video too. Krafla View is amazing but Dettifoss I liked the most. 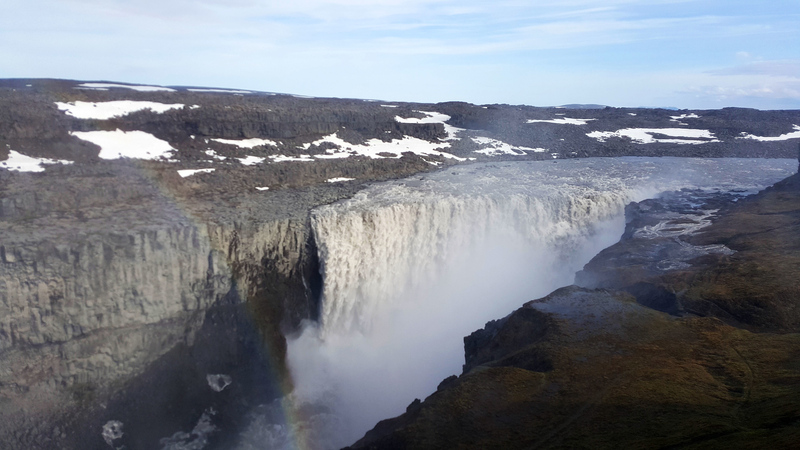 The rainbow in the picture of Dettifoss looks really great. You are so right when you say it looks more like outer space. Such a strong contrasting land, with so much going on. Beautiful bur rugged at the same time. Not altogether different from the interior of Australia! Just beautiful and I really enjoyed watching the video. The guest house looked pretty good two – very modern ! Breathtaking. Simply incredible. What are midge flies, exactly? Do they bite or sting like mosquitos? The landscapes are unusual and unique. 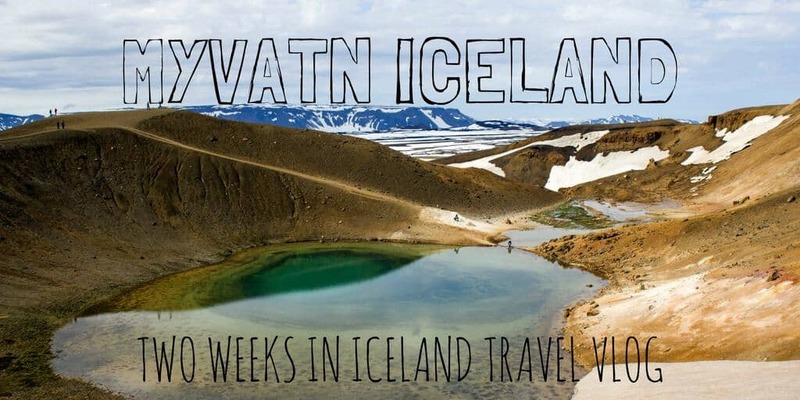 Iceland is on my list of places to visit, and now adding Myvatan. Great video. WOW, the landscapes in this video are absolutely amazing. It looks it’s f*** freezing but you guys don’t aren’t wearing warm clothes at all! I love the blue-green crater lake. It’s absolutely stunning. You guys made a good job with that drone! Another post about my dream destination. Will surely make this a part of my Euro trip. 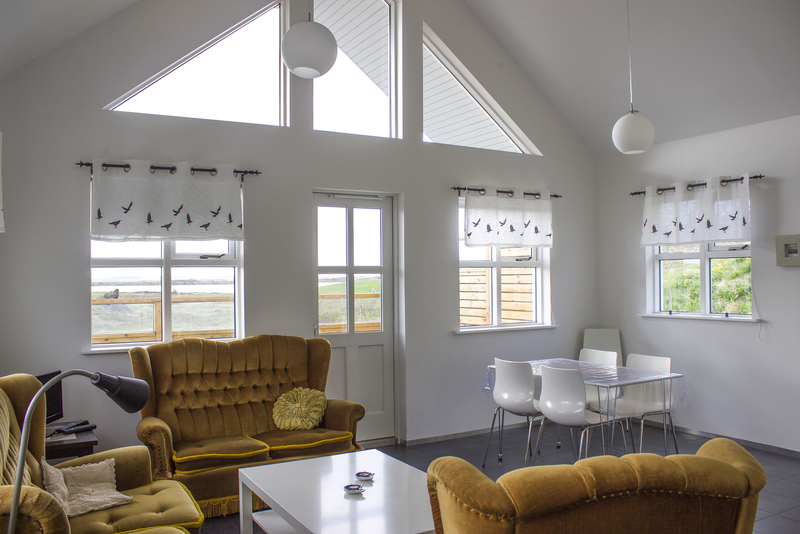 First off, that guesthouse is just gorgeous! My dream is to visit Iceland and I hope I can make it happen in 2017. 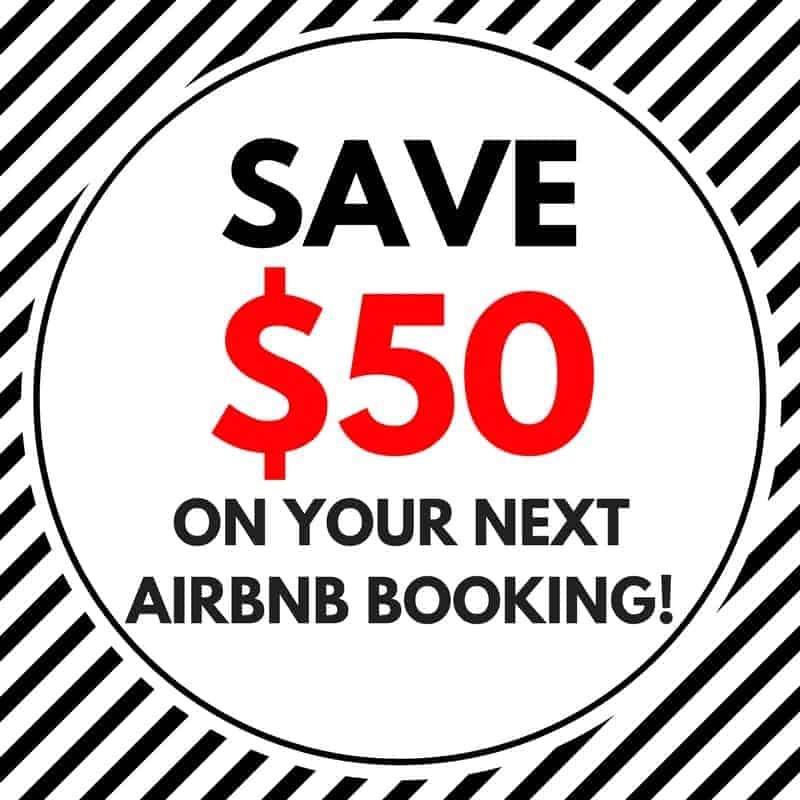 Definitely bookmarking this, thanks for sharing! Next time we visit Iceland I want to explore the top of the Island. I had read about how beautiful it was but we just didn’t get there.